American lore is rife with stories around the dark days of Prohibition. It was an era in our history that couldn’t have been more ill-timed with most of the country suffering and out of work due to the Great Depression. Some of the most enduring tales are those about that Robin Hood figure, the bootlegger, and the romantic notion that these resourceful folks took advantage of home-grown skills to provide liquor to a thirsty nation. Rarely does that story walk alone; almost always further down the page is the involvement of the gangster, usually the mass-market purveyor of the moonshiner’s illegal intoxicants, and subsequently law enforcement’s efforts to apprehend these scofflaws. 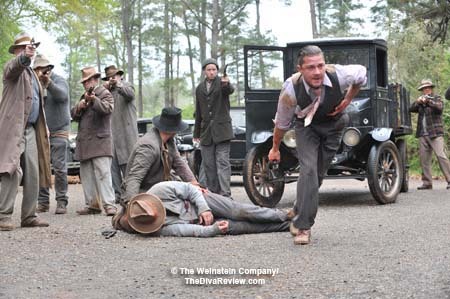 In Lawless, all these components crash together for an over-the-top, live-action comic book overflowing with violence and gore as it tells the real-life tale of Virginia’s own Bondurant brothers. 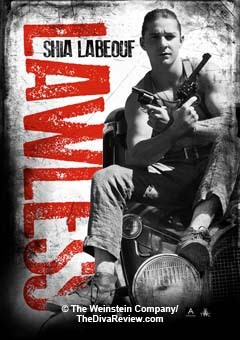 There are some for whom the sole selling point of Lawless is the fact that they’ll watch Shia LaBeouf’s face get pummeled repeatedly. 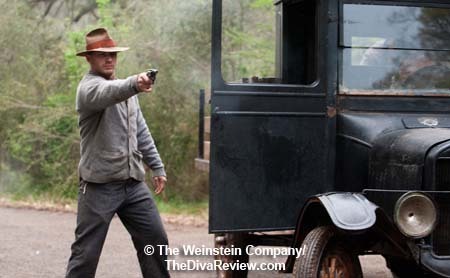 The polarising actor plays the weak link of the bootlegging Bondurant brothers who can’t keep himself out of harm’s way. Jack, the runt of the litter, does not inspire the fear or awe of his elder siblings, Forrest and Howard, who are legends in their hometown, doing lucrative business supplying their homemade hooch all around the county. 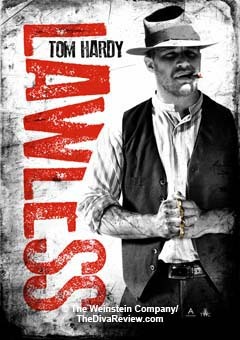 Using his brains to compensate for the utter lack of brawn, courage or common sense so abundant in his brothers, Jack takes the bootlegging operation to new heights by making risky deals with big city gangsters, bringing the family both new wealth and more visibility than either Forrest or Howard would like. Jack simply doesn’t get the whole ‘We’re committing a crime, maybe we should be stealthy,’ idea. While the youngster stretches his wings, other changes take place around the Bondurant homestead, including the employment of a gorgeous moll determined to get away from the violence of Chicago -- a singularly delusion hope. Jack’s new finances turn his head as he spends it on fancy duds and rides and trying to impress a local girl from a super-religious family, with predictably fatal results. The brothers have drawn the rage of a government agent who’ll look the other way for a cut, by denying him simply on principle. As the Bondurants become the officer’s obsession, everyone within a three-mile radius will feel the aftershocks. 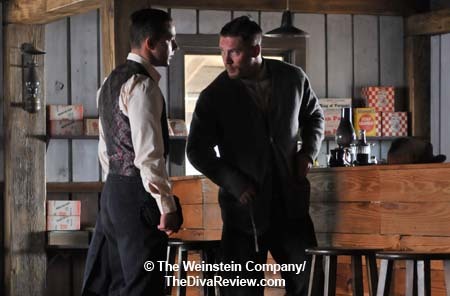 Will the family of wild men survive against the slick, brutal lawman determined to bring them to heel? 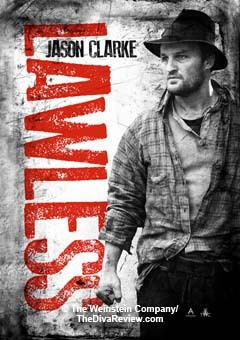 Written by cult icon, musician Nick Cave and based on the story of a real bootlegging clan, Lawless is a case of truth indeed being stranger than fiction. 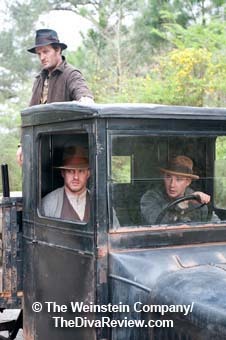 Had cloning existed in these dry days of Prohibition, the elder Bondurant siblings would’ve been prime candidates. No amount of shooting, stabbing, choking, punching or kicking slows them down. This is attributed to their having some Native American ancestry, but had the Tribes been as hard to kill as the Bondurant brothers, we’d all be wearing feathers and buckskins. Forrest‘s superhuman indestructibility becomes laughable and an example of the breezy obliviousness to reality often exhibited by Nick Cave’s screenplay. So what if this is the story of an actual family and would then be expected to have some basis in reality; a man can have his throat sliced from ear to ear, be shot multiple times, stabbed some more and survive wonderfully. That can totally happen. If you can’t go with that notion, then turn around and leave the theatre now. 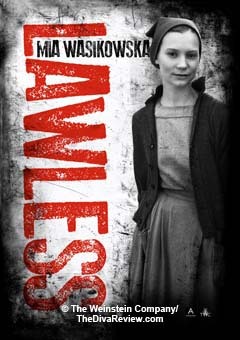 Lawless is not for you. 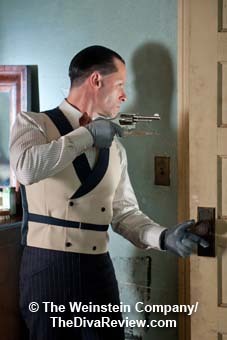 Equally surreal is the bad cop, played by the excellent Guy Pearce, himself looking like a cartoon character with a creepy lack of eyebrows, dandyish dress sense and shoe-polish black hair slicked back within an inch of its existence. He’s an oily, sleazebag caricature of every corrupt officer ever filmed and he nearly steals the entire picture, seizing the part with gleeful, scene-chomping gusto. 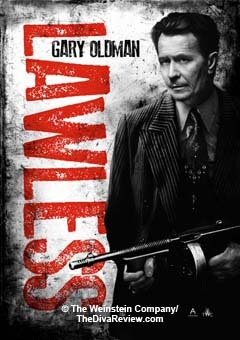 Speaking of cinematic police on the take, Leon/The Professional’s iconic bad guy, Gary Oldman is solidly on the other side of the law in a very few but campily impactful scenes as the big city gangster boss who’s canny enough not to get on the feral Bondurant’s bad sides. As the low man on the siblings’ intellectual totem pole, Jason Clarke is an unstoppable hulk as Howard, who prefers to beat first and ask questions maybe. It’s a far cry from the Machiavellian politician he played on the excellent Showtime series, Brotherhood (Also about scapegrace siblings), and Clarke really digs in to the brute. Jessica Chastain is alluring as the bad girl trying to be good; a world-weary soul caught up in a battle that’s got nothing to do with her, but she staunchly chooses a side anyway, when saner voices might’ve said, ‘You know, this is a whole lot worse than the craziness I tried to escape from in the first place. 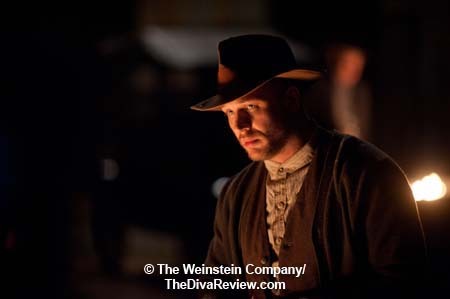 Heck with these people, I’m going home.’ Her scenes opposite Tom Hardy as the rough-hewn, grunting, monosyllabic Forrest simmer nicely and their growing attraction plays nicely. As the war escalates and casualties grow more brutal, the climactic scene is almost comical in its violence-drenched nonsensicalness, but goes so well with the entire over-the-top sensibility we’ve witnessed for the previous hour and a half, it only seems like icing on the cake. More hilarious still is the epilogue, that even if essentially true is almost entirely anticlimactic as it’s meant to tie some of sort of cockeyed bow on all the nutty nihilism we’ve just seen. Weird, just weird is Lawless, but strangely pleasing in pulpy, thoroughly B-movie way, held to the earth by the thinnest thread of gravity provided by its cast's game and exuberant performances.